I can’t remember the last time I had a bowl of homemade potato soup. 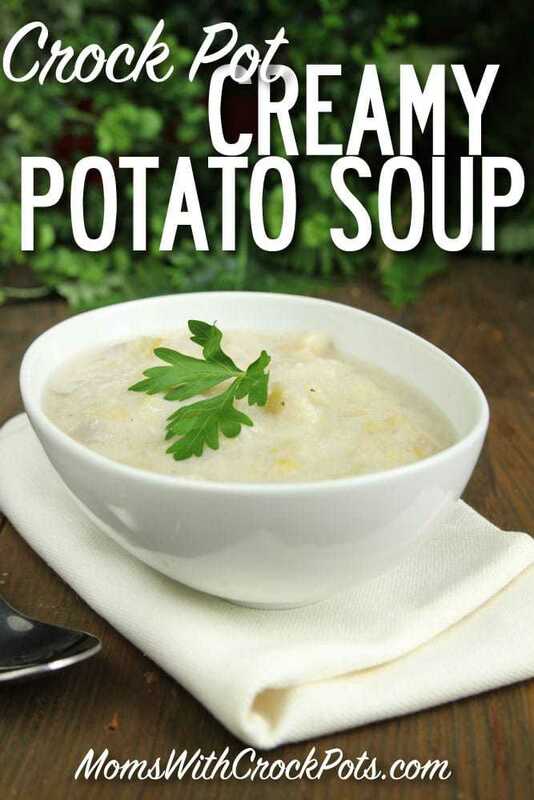 This is one of those delicious cure all soups that I love to make! Filling and delicious! Place bacon and onion in a large, deep skillet. Cook over medium-high heat until bacon is evenly brown and onions are soft. Drain off excess grease. Transfer the bacon and onion to a slow cooker, and stir in chicken broth, water, potatoes, salt, dill weed, and white pepper. Cover, and cook on Low 6 to 7 hours, stirring occasionally. In a small bowl, whisk together the flour and half-and-half. Stir into the soup along with the evaporated milk. Cover, and cook another 30 minutes before serving. I’m making this right now – thanks for the recipe. What setting/temperature do you cook it on? I have it on low right now.